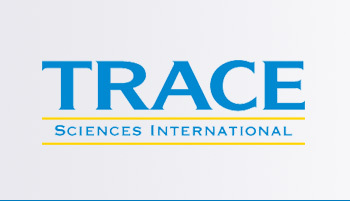 Trace Sciences International Corporation is a global leader in supplying the world with quality stable isotopes. Our unique synthesis capabilities, our dedication to working with customers to meet their requirements, budgets and product specifications has allowed us to keep our deep customer base who have been returning for years. With offices in Canada and the United States we can supply emergency and long-term requirements with overnight delivery for stock items. In most cases quotations can be turned around in less than 24 hours. All materials come with certificates of analysis and certificates of origin (upon request) detailing the origin and pedigree of the product. 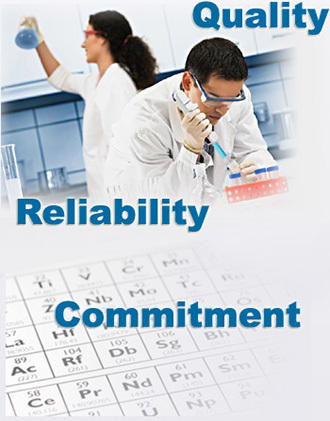 This enables Trace Sciences to offer our customers a product guarantee of quality. Our products include Tl203, Zn68, Cd112, Sr88, Te123, Xe124, Pd104 and many other precursor materials. The expertise offered through our Russian colleagues at Electrokhimpribor in Sverdlorsk can be relied upon for the highest quality Tl203, Ca42/44/46/48, Pd102/104, Sr86/88 and all lanthanide isotopes. Our manufacturing associate Urenco in the Netherlands (ISO9001:2008 certification) offers Zn67/68/70, Cd112, Ir191, Xe124, Te123/124 and depleted Zn64 along with other isotopes of Ge, W and Se. Long recognized as a world leader in the processing of "micro-quantities" of elements through in-house chemical techniques, the technical staff at Trace Sciences has converted most of the periodic table into base metals, salts and various oxides. Purchasers of stable metal isotopes are assured of product quality and reliability to the most exacting standards. Trace Sciences employs analytical techniques such as ICP-MS for exact isotopic and chemical analysis, and a new XRF-PD for molecular analysis. As a primary supplier to the medical, scientific, research and industrial communities, Trace Sciences is always at the forefront of new developments in the production and manipulation of stable metal isotopes. Trace Sciences has continued to invest in its lab facilities and production equipment. As a result, Trace Sciences can now produce a wider array of custom isotopic foils to meet the needs of our international market. At Trace Sciences we have always manufactured many of our own foils. If you are looking for a small quantity of isotope, or pieces of foil, please let us know. Our staff members take special training so that goods shipped remain in compliance with IATA Dangerous Goods Regulations. These regulations provide procedures for the shipper and the operator by which articles and substances with hazardous properties can be safely transported. Trace Sciences is committed to this program and provides recurrent training every 24 months to ensure staff knowledge is current.